Our cabinets have no aluminium fixings, just edge to edge glass bonding which is beautiful to look through. The cabinets can be used on the top surface to place a lamp for customers who wish to try on jewellery should you wish your customers to try on jewellery. You of course do not want large hinges and locks on glass cases which is why ours are so minimalist and contemporary. The customers can keep their eye on your jewellery in the glass display case rather than the cabinet itself. Can I Have Interior Lighting? Single Stalk, Battery Powered Lighting (image left) is our most popular form of lighting. The bulbs are interchangeable depending on the colour spectrum you wish to have. If you would like an additional lamp above the cabinet for the customers to try on the jewellery under lighting then these can be provided. Our batteries provide 49 hours of ‘on time’. There is a small discreet switch on the outside of the cabinet which you can switch the lights on and off with whenever it suits you. 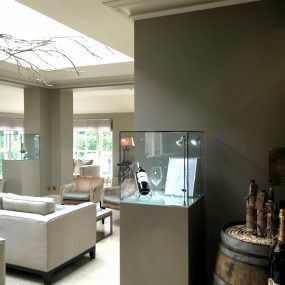 Battery powered lighting means you can place the cabinet in the centre of the room and still have the lighting with no cables and no need for PAT Testing. If your exhibition may require more time than 49 hours there are several options we have for you. We can provide mains powered lighting if battery is not your preferred choice. 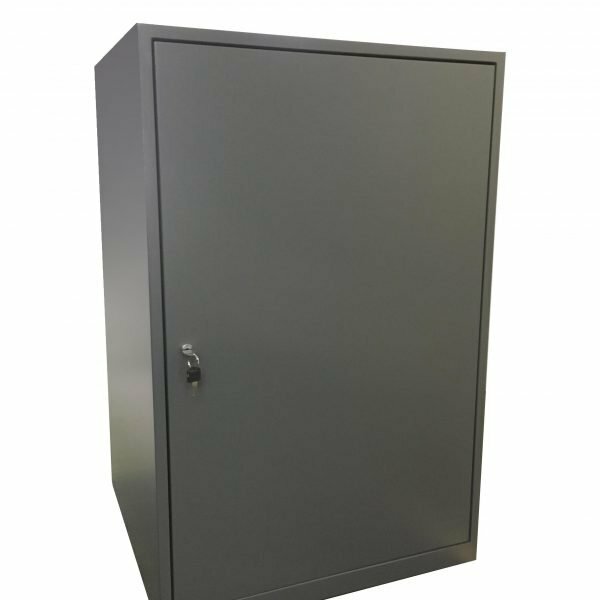 When running a stand alone or with a few members of your team it is very useful to have space to store your product stock, promotional items and your personal belongings. You can put your items inside the plinths with a door attached. If you would like a door for storage on the inside of the plinth please state so when contacting us. 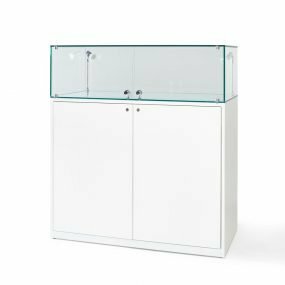 The glass display cabinets are lockable and you will be provided with keys. The door to the plinth (if requested) is lockable too. If you wish to have keyed alike, or individually keyed locks, please do let us know. Click on the image of the cabinet you would like to see more information on, for their full product descriptions and sizing in the online shop. 01934 708 717 to talk to us about your requirements.